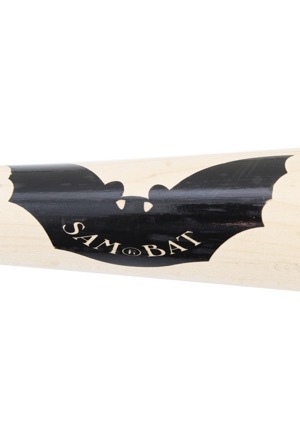 Manufacturer: Original Maple Bat Co. (SAM) Model Number: GS11NY Labeling Period: 2004 Length: 34.5 inches Weight: 33.9 ounces Wood: Maple Finish: Natural. 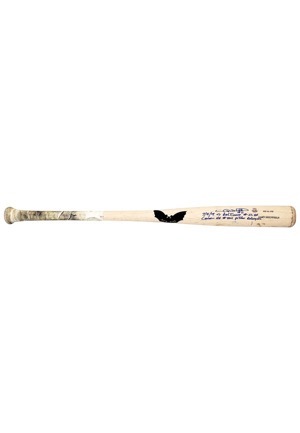 This bat is uncracked and shows evidence of excellent use with several ball marks and ball stitch impressions on the barrel. Cleat marks can also be seen on the right barrel. The length, weight, date of manufacture, model number and order number are written on top of the barrel in black ink. 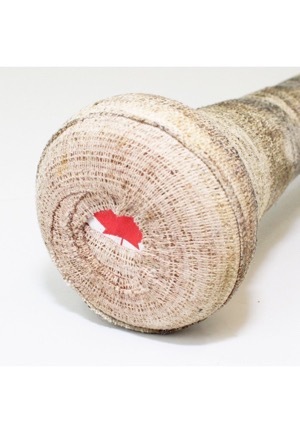 PSA/DNA has graded the bat a GU 10. 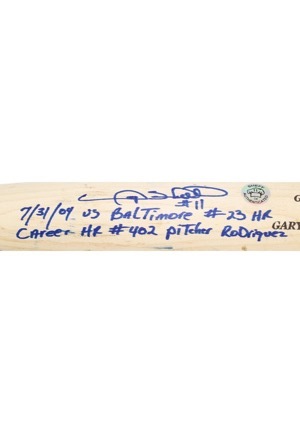 Sheffield signed on the barrel with the added inscription “7/31/04 vs Baltimore #23 HR Career HR #402 Pitcher Rodriguez” and in our opinion the signature rates an 8. 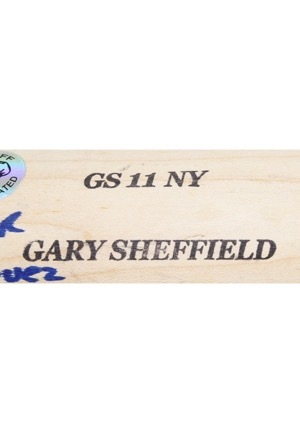 A Sheffield hologram is adjacent to the signature. Accompanied by a LOA from JSA and a PSA/DNA LOA.